When it comes to staying warm when those temperatures really drop you need to think about wearing layers. If you get your base layer right then you are more than halfway to staying comfortable on a long fishing session. There are lots of thermal under garments on the market, some made from artificial materials and others made of natural fibres such as cotton and wool. When many people think of wool they think of bulky wooly jumpers, that’s the last thing you want from a base layer. 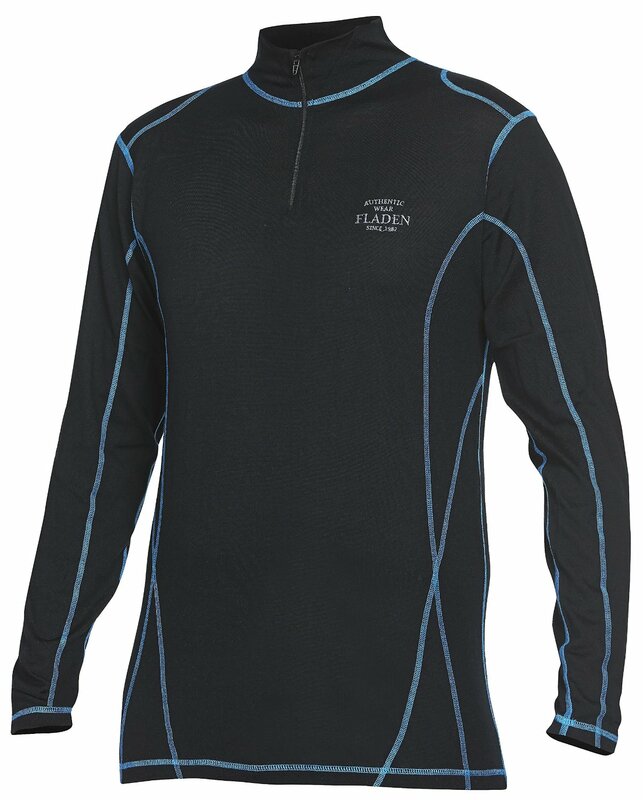 Fladen have used a 100% Merino wool in the production of their thermal Long sleeved under shirt and trousers. It was whilst I was looking through the latest product catalogue from Fladen that I came across the thermals. It was one of the first times I have seen a fishing tackle manufacture produce Merino wool garments. As winter was fast approaching I ordered a pair. It is always a risk ordering something like clothes online, especially when you haven’t had a chance to handle them. I was delighted when they turned up. Not only did they look good, but they really were thin. How can something so thin keep you warm? Let’s take a closer look at Merino wool, which comes from the Merino breed of sheep and is regarded as the finest and softest wool produced. Because it is so fine it can be woven to produce a thin and light fabric, which is ideal as a base layer. like most wools Merino contains Lanolin, which has antibacterial properties. This helps neutralise body odours allowing the garments to be worn for longer periods without having to be washed. When you are away for a weekend or even an extended fishing trip to somewhere like Norway this is ideal. It is not only a great base layer for cold climates, it’s properties allow you to stay cool in warm areas. I can vouch that it really works, as I like to wear a merino wool t-shirt when traveling. I ended up with no luggage for two days whilst on a trip to the Amazon jungle. Unbelievably my T-shirt still didn’t smell when my baggage finally turned up. Both the shirt and the trousers are black with a blue piping that looks very smart. The stitching is high quality and even after multiple washes, the colour has not faded and the material keeps it shape. What I love about these articles of clothing is how you hardly know you are wearing them, as they allow full freedom of movement. It allows you to put on several more layers and not feel bulky. If you are looking for a good base layer, then I think you need look no further. Fladen have the price spot on at around £30 each.